The chapter is focused on the participatory project Som da Maré which took place in the Maré favela of Rio de Janeiro in 2014. We position the project in the context of social engaged arts and everyday sound by addressing notions of listening, soundscape and place. Mediation is discussed in the context of sound technologies, in particular sound recording which becomes a mechanism for documenting sound in the everyday. 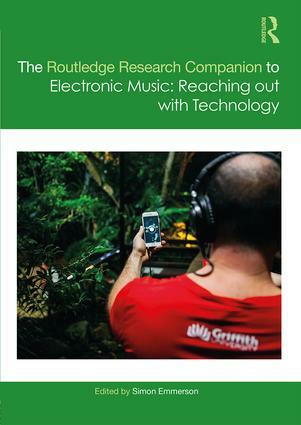 The core of the chapter is framed around participatory methodologies borrowing from Brazilian pedagogue Paulo Freire and discusses sound as a mode of participation. The project Som da Maré serves as a focus for a reflection which provides insights into the dynamics of participation at both individual and institutional level. The chapter introduces the ‘sonic experiences methodologies’ as a series of steps aiming to facilitate discussion and the development of vocabulary to talk about sound, place and identity. Som da Maré’s three installations and guided soundwalk are presented, followed by a discussion on sonic arts and ethnography. This entry was posted in Papers, Writings and tagged Brazil, community, participatory, Publication, Sound, Sound Art. Bookmark the permalink.